1971 | Steven F. Anderson (BA ’71, MA ’73; Nancy; South Pasadena, Calif.) performed Great American Songbook selections at two riverside resorts in Thailand. 1972 | Donald T. Stapley (BA ’72; Kathleen; Mesa, Ariz.) was elected as the new chairman of the Maricopa County Board of Supervisors in Arizona. 1973 | Robert T. Leinbach (BA ’73; Roseann; South Jordan, Utah) retired in 2006 from the Clark County Fire Department in Nevada after 30 years and has since served as a missionary in the North Carolina Charlotte Mission. 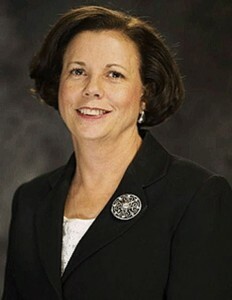 Diana Bishop Alba (AS ’73; John; North Las Vegas, Nev.) was appointed as county clerk by the Board of County Commissioners of Clark County, Nev.
1974 | Brian D. Stubbs (BA ’74, MA University of Utah ’81; Silvia; Blanding, Utah) published Uto-Aztecan: A Comparative Vocabulary. 1975 | Fredrick H. Olsen (BS ’75, JD ’78; Kristine Beckstead [BA ’85]; Murray, Utah) was named a fellow of the American College of Bond Counsel, which recognizes lawyers for skill, experience, and high ethical and professional standards. 1976 | Claudette Bybee Burt (BS ’76; Jeffrey [BS ’77]; Kingston, Wash.) is serving as the mission secretary for the Italy Rome Mission. 1977 | Jeffrey A. Burt (BS ’77; Claudette Bybee [BS ’76]; Kingston, Wash.) is serving as the financial secretary for the Italy Rome Mission. Lorin R. Walker (MOB ’77, PhD ’80; Linda Hinson [BS ’71]; Kansas City, Mo.) was promoted to chief learning officer and director of organization development at Tercon Consulting, a human capital resources consultancy to Fortune Global 50 organizations. 1980 | Frank M. Dela Rosa (BS ’80; Ellen; Laie, Hawaii) was advanced to the rank of sheriff for the state of Hawaii. 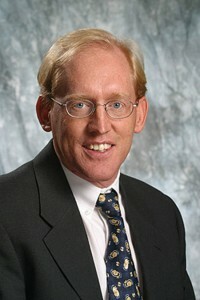 Robert S. Clark (JD ’80; Wendy; Sandy, Utah) wasrecognized by Benchmark Litigation 2010 as a Local Litigation Star in the areas of antitrust, appellate, and commercial litigation. CindiLee Turpin-Thomas (BA ’80; Woodbridge, Va.) received an associate of applied science degree from the paralegal studies program at Northern Virginia Community College. She is now the management support assistant for the U.S. Department of the Interior’s Office of Hearings and Appeals. 1981 | James W. Stewart (MBA ’81, JD ’81; Penee Wood [BS ’76]; Farmington, Utah) joined the Strong & Hanni law firm as a shareholder. He is part of the employment and commercial litigation practice groups. 1982 | John A. Taylor Jr. (BA ’82, JD Harvard University ’85; Natalie Smith [BS ’85]; Thousand Oaks, Calif.) was named one of California’s Top 100 Lawyers of 2009 in theDaily Journal’s annual report. 1983 | John E. McClurg (BA ’83, MOB ’86, JD ’87; Jennifer; Hampton, N.J.) was named one of 2009’s Most Influential People in Security by Security magazine. 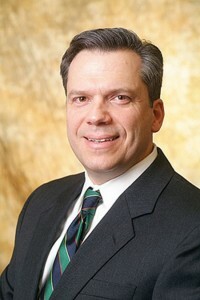 1984 | Edgar C. Snow Jr. (BA ’84, JD University of Tennessee ’87, LLM Boston University ’88; Dina; Alpharetta, Ga.), a partner in the Burr & Forman law firm’s Atlanta office, was appointed chair of the State Bar of Georgia’s business law section. 1985 | Trina Bates Boice (BA ’85; Thomas [BS ’84]; Las Vegas) was appointed national director of marketing for Multi-Pure Corporation, the world’s largest manufacturer of compressed solid carbon block filters. 1986 | Laree Fletcher Florence (BS ’86; McKay [BS ’86]; Loomis, Calif.) is the founding artistic director of Take Note Troupe, a community youth theater company. 1988 | Bradley R. Cahoon (BA ’88, JD University of Utah ’91; Jodie; Draper, Utah) was elected to the board of directors of the American Lung Association of the Southwest.Jonathan O. Hafen (BA ’88, JD ’91; Joy Miner [BA ’91]; Farmington, Utah) was recognized by Benchmark Litigation 2010 as a “Future Star” in the Utah legal market.Terence A. Plumb (BS ’88, MS College of Great Falls ’95; Jill Sanders [’89]; Papillion, Neb.) 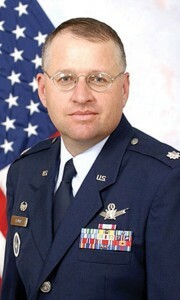 is the chairman of the Department of Aerospace Studies and commander of the Air Force ROTC at Arizona State University. 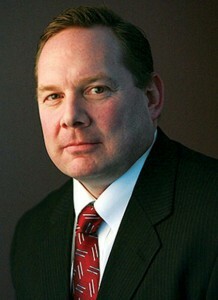 Ronald W. Truman (JD ’88; Wendy; Washington, Utah) won a personal injury case in a federal court for clients of the law firmDixon, Truman, Fisher & Clifford. Kathryn Pray Withers (BS ’88; Trevar [BS ’89]; Wadsworth, Ohio) released He Will Lead Me Home, her debut album as a singer and songwriter. 1989 | David L. Adkins (BFA ’89; Heidi Rinaldi [BFA ’93]; Pleasant Grove, Utah) cofounded Transcensus, a company that assists people in learning new software programs more efficiently. Mark Tullis (BA ’89, BA ’89; Portland, Ore.) was elected to serve on the national board of directors of the Software and Information Industry Association’s education division. 1991 | Evan C. Nelson (BA ’91, JD ’94; Marci Williams [BA ’92]; Moraga, Calif.) was elected partner with the Tucker Ellis & West law firm. Wade A. Peers (BS ’91, MD University of Iowa ’95; Lesa Cooper [’93]; Park City, Utah), the owner of and practicing surgeon at Park City Oral Surgery and Dental Implant Center, celebrated the 10th anniversary of his Park City practice. 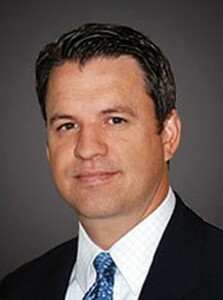 1992 | David M. Clark (BA ’92, JD The George Washington University ’95; Robin Cash [BA ’92]; Mesa, Ariz.) was appointed to be Clear Channel Outdoor’s executive vice president and general counsel of Americas. Christopher E. Garrett (BA ’92, MA Oregon State University ’01, PhD Texas A&M University ’07; Edmond, Okla.) is the direc- tor of the Center for Excellence in Teaching and Learning and an assistant professor of English at Oklahoma City University. Roger L. Lund (BA ’92, JD Pepperdine University ’95; Kelley Schnirch [’95]; Camarillo, Calif.) was appointed by California governor Arnold Schwarzenegger as a judge in the Ventura Superior Court. 1993 | Heidi Rinaldi Adkins (BFA ’93; David [BFA ’89]; Pleasant Grove, Utah) is a contemporary painter of spiritual themes and teaches children’s art lessons. 1994 | Clint J. Parry (BS ’94, MBA University of Arizona ’98; Kristin Busby [BS ’93]; Tucson, Ariz.) has joined Lapin International, a global leadership-consulting firm, as vice president of strategy. Pamela Aguilar Beatse (BA ’94, JD University of Utah ’09; Reed; Salt Lake City) passed the Utah bar exam and joined the Strong & Hanni law firm as an associate attorney. Sean D. Reyes (BA ’94, JD University of California ’97; Saysha Fawson [BA ’94]; Salt Lake City) was named on the National Asian Pacific American Bar Association’s 2009 Best Lawyers Under 40 list, which recognizes top young attorneys. Brian J. Bruner (BS ’94; MBA University of Wisconsin ’08; Emma; Kenosha, Wis.) was named customer service director for Latin America and Canada for the diagnostics division of Abbott, a worldwide distributor of health-care products. 1995 | James L. Ahlstrom (BA ’95, JD ’98; Julia Hoggan [’96]; West Bountiful, Utah) was recognized by Benchmark Litigation 2010 as a Future Star in the Utah legal market.Noble F. Coker (BS ’95; Eleanor Chang [BS ’96]; Pokfulam, Hong Kong) was appointed vice president of park operations at Hong Kong Disneyland. 1996 | Peter M. Midgley (BS ’96, JD The George Washington University ’00; Tricia Hardy [BA ’96]; Boise, Idaho) won a reversal of a $2.5 million verdict before the U.S. Court of Appeals for the Federal Circuit. Matthew L. Bohn (BA ’96, M The George Washington University ’00; Jamie Lunceford [BA ’96]; McLean, Va.) is chief of staff at theMillennium Challenge Corporation, a U.S. government foreign aid agency that fights global poverty, where he serves as a member of the senior management team and investment committee. Richard J. Patterson (BA ’96, JD Harvard University ’99; Valencia, Calif.) joined the Strong & Hanni law firm as an associate in the business, real-estate, and estate-planning group. Matthew S. Petersen (BA ’96, JD University of Virginia ’99; Wendy Spencer [BS ’96]; Vienna, Va.) was elected chairman of the Federal Election Commission, an independent regulatory agency that administers and enforces federal campaign finance laws, for 2010. 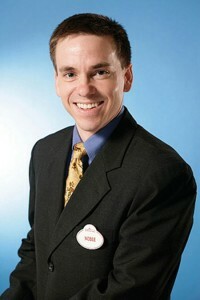 1998 | Christopher S. Peterson (BS ’98; Jennifer; St. George, Utah) received the 2009 Member of the Year Award from the Southern Utah Home Builders Association. Fikre H. Wondafrash (BS ’98, MS ’03; Draper, Utah) was a member of the medical staff that supported the 200-plus U.S. athletes at the 2010 Olympic Winter Games. 1999 | Jonathan A. Goff (BS ’99, MS ’07; Tehachapi, Calif.), a rocket propulsion engineer, helped his team at Masten Space Systems win the $1 million first place prize in the second (more difficult) level of the Northrop Grumman Lunar Lander X Prize Challenge. The challenge required teams to create a rocket that could perform a vertical takeoff and landing. Samuel S. Harkness (BA ’99, JD ’02; Brooke Warner [BA ’98, JD ’01]; Draper, Utah) was named chief legal counsel for Prestige Financial. Perry L. Russell (BS ’99, MA Webster University ’03, MPA Webster University ’04; Tolleson, Ariz.) is a management analyst human resources specialist at the Arizona Department of Corrections. 2000 | Brian C. Stucki (BM ’00; Ann Hinckley [BA ’99]; Salt Lake City) performed with the Polish National Opera in Warsaw, Poland, in its production of The Fall of the House of Usher. 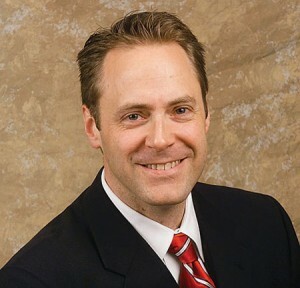 Kevin W. Stinger (JD ’00; Kimberly; Kaysville, Utah) was named associate in-house patent counsel at Bard Access Systems, a medical device company. Nara Dashtudev Thompson (BA ’00; Jonathan [BA ’00]; Highlands Ranch, Colo.) traveled to Mongolia to give aid to street children. 2001 | Bradley J. Charles (BA ’01; JD Thomas M. Cooley Law School ’05; Diana Johnson [BS ’00]; Lansing, Mich.) joined Thomas M. Cooley Law School’s Ann Arbor, Mich., campus as an assistant professor. 2003 | Adam G. Edmunds (BS ’03, MAcc ’03; Charlynne; South Jordan, Utah) is the CEO and cofounder of Allegiance, which helps organizations utilize customer and employee feedback and was named one of Inc.’s 500 fastest growing companies. Tiffany Garrison Weiss (BS ’03; Sanford, Fla.) will be a presenter at the National Council of Teachers of Mathematics’ Annual Meeting and Exposition in San Diego, Calif., in April. Her presentation is centered on teaching fractions to students in grades 3–5. 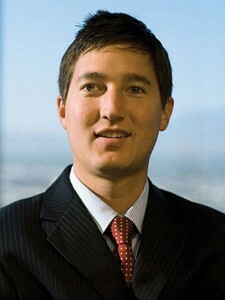 2004 | Nicholas U. Frandsen (BS ’04, JD ’09; Provo) joined the law firm Parsons Behle & Latimer and is a member of the litigation department. Elizabeth VÃ©lez Urie(BM ’04; Marcus [BS ’05]; Montrose, Calif.), a renowned flutist, released her debut album, Amazing Grace, and was invited to be a guest instructor at the Stratford-upon-Avon International Flute Festival in England. Renata De Rosis (’04; SÃ£o Paulo, Brazil) photographed SÃ£o Paulo Fashion Week and published her work in local and international magazines. 2005 | Vanessa Barton Davis (BS ’05, DVM Oregon State University ’09; Keith [BS ’05]; Albany, Ore.) joined the Linn Veterinary Hospital in Albany, Ore., as an associateveterinarian. Matthew H. Mangum (BA ’05; Layton, Utah) published a science-fiction novel titled Pangea Liberation. 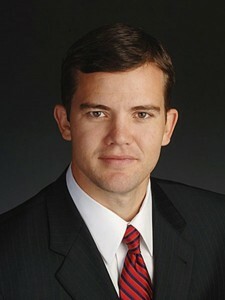 2006 | Daniel M. Woods (BA ’06, JD Texas Tech University ’09; Springville, Utah) secured a clerkship with the Honorable Judge Dale A. Kimball (BS ’64) of the U.S. District Court in Utah. 2008 | Ryan Winn Johnson (MAcc ’08; Anne Disner [BA ’07]; Huffman, Texas) passed the Certified Public Accountant Exam and now works at HintonBurdick, one of Utah’s largest CPA firms, in St. George, Utah. 2009 | Jeremy J. Kuhre (BS ’09; Melody West [BS ’08]; Eagleville, Pa.) is a sustainable-buildings engineer for Sustainable Solutions Corporation, which helps clientsincorporate green design and sustainable-development principles into building projects.